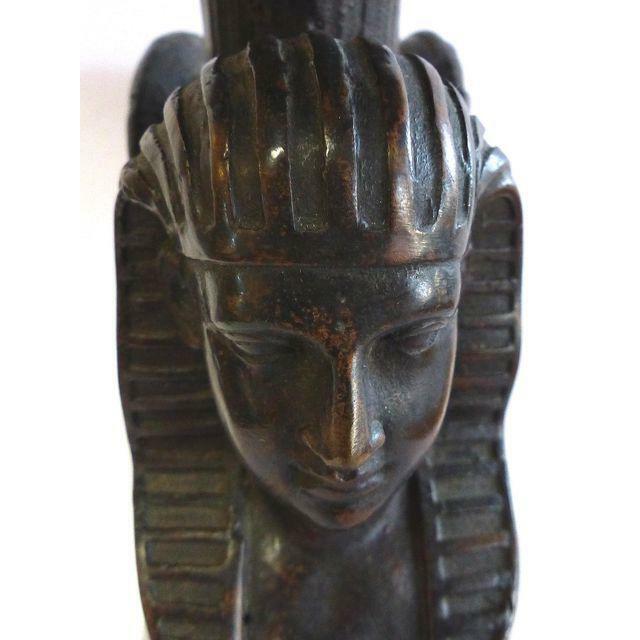 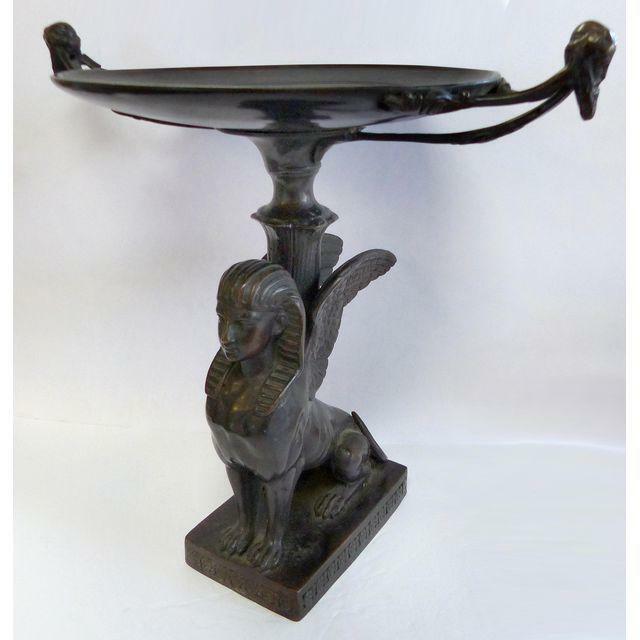 Art Deco Egyptian Revival bronze tazza with a winged Sphinx figure. 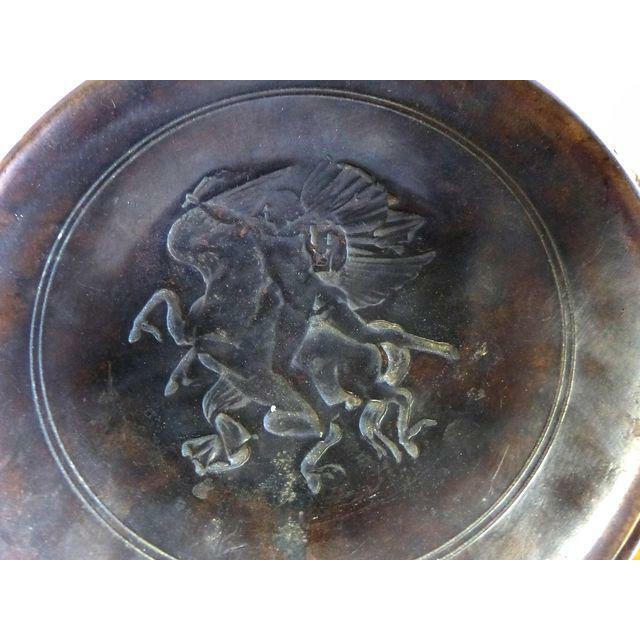 The double handled tazza top depicts a warrior with Pegasus. 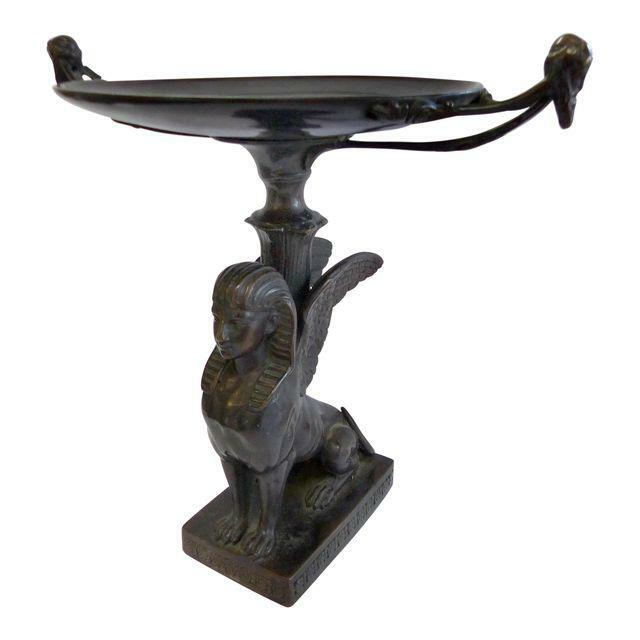 The piece retains a dark rich patina. 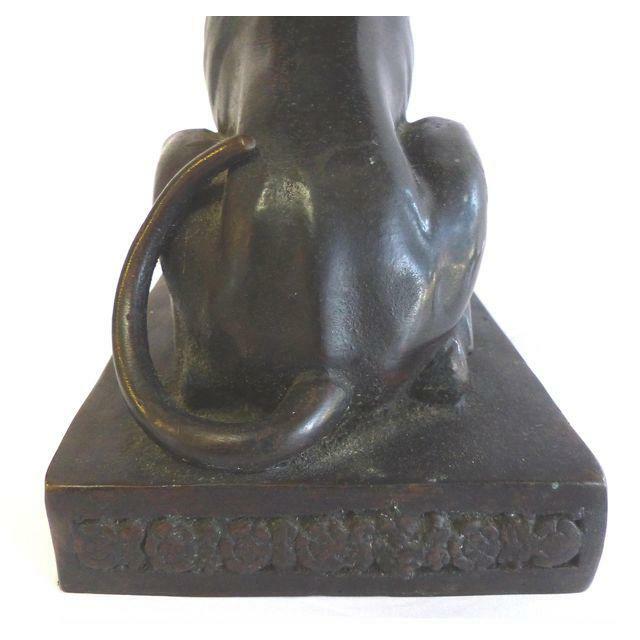 A substantial and quite heavy sculpture with nice detail. 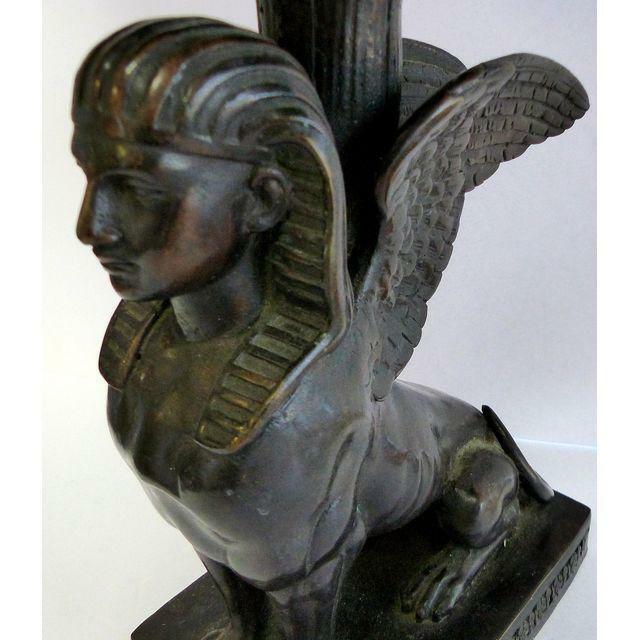 A great addition for your desk or mantle.